Need Help Paying Your Heating Bill or Emergency Furnace Repair? While this winter hasn’t been as cold as last winter, it’s still winter in Wisconsin which means our heating costs are high. With families already struggling, higher bills can be a huge source of stress. There is help though for Wisconsin residents if you meet a few requirements. WHEAP (Wisconsin Home Energy Assistance Program) offers families that meet certain income requirements some help with paying their energy bills this winter. They helped approximately 225,000 Wisconsin families with federal and state funds to help pay for their heating and electric costs. Helping to pay for your heating and energy costs aren’t the only services WHEAP provides. Did you know, if you qualify, you can get emergency help if your furnace or boiler stops working during the heating season (October 1st through May 15th)? You can get emergency funds to pay for the repairs or in some case completely replace your furnace or boiler if they stop working. All you have to do is call your local WHEAP office to see if you qualify. Another great program offered through WHEAP is their weather-proofing program. The weatherization agency for your area will receive a list of eligible applicants from WHEAP and will determine service priority and the eligibility for your home. The goal of the weatherization program is to save energy by targeting households with an excessive energy burden and that are made up of elderly, handicapped and/or children under 6 years of age. Local weatherization agencies will contact the highest priority households to evaluate the home and decide what weatherization services are needed. Appropriate weatherization services will be completed by agency crews and subcontractors. There is a more help out there than I think most of us realize. 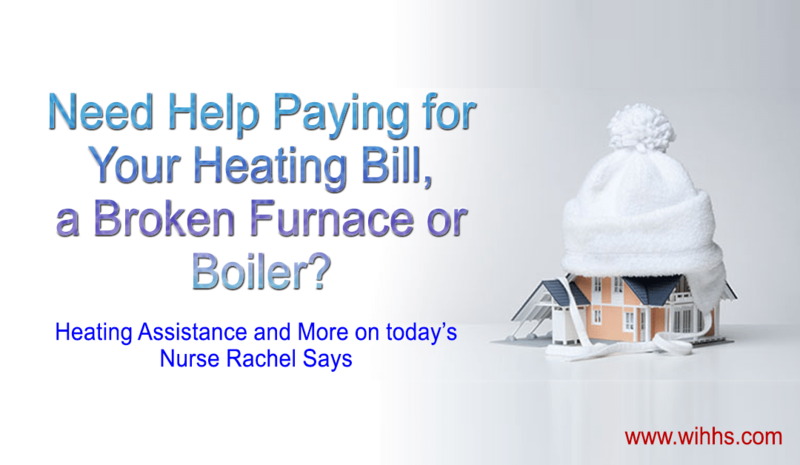 I know a lot of people already know about heating assistance but not as many know about the emergency furnace and boiler help or the weatherization program. Again, this help is determined by meeting the guidelines. The first thing you need to do is contact your local Energy Assistance Program Office, we’ve listed the contacts for Milwaukee, Racine and Kenosha below. Give them a call and make an appointment. You’ll need to bring some information with you, like a state ID or a government issued ID, your social security number, proof of residence, proof of your heating and electric costs, proof of income and they may require other documentation as well. You can see the full list of what is needed here. They should tell you what to bring when they set-up your appointment but just in case, take a look at the list and make sure you have everything they want to avoid delays. The funds available are limited, so make sure you make an appointment as early as possible. Heritage Health Services understands that it can be hard when caring for a loved one to work outside the home to meet your financial needs. Which is why we’re dedicated to highlighting available programs and help for all those in need. Like these programs we share, many people don’t even realize that they can earn a paycheck from taking care of a family member or loved one. If you are taking care of a loved one who is on Title 19, BadgerCare or Medicaid, give us a call to see if you qualify to get paid for the care you’re already giving.